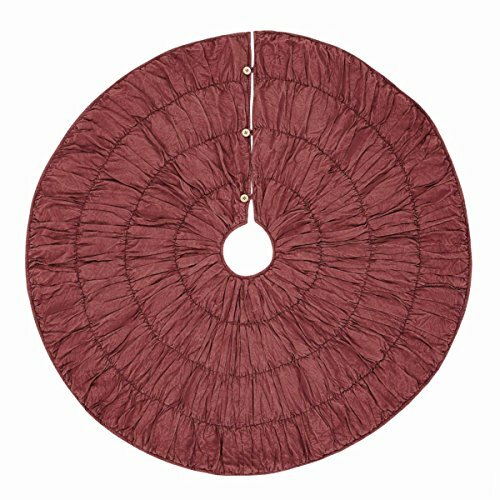 VHC Brands Anders 48" Tree Skirt, #28858,made of 100% Cotton burgundy fabric, tiered and shirred for a rich detailed look. The opening has 3 buttons with loops to hold the back together. If you have any questions about this product by VHC, contact us by completing and submitting the form below. If you are looking for a specif part number, please include it with your message.